Recently, Danielle and I were taking an evening stroll on the Detroit Riverfront. On any given night, people are there fishing, biking, jogging, or taking in the views of Canada, Belle Isle, and the Ambassador Bridge. Standing by the lighthouse just past the Renaissance Center, we dove deep into a conversation about muscle cars. Danielle grew up attending races at Michigan International Speedway when she wasn’t keeping pace with the rough and tumble likes of her father’s shop employees. She is the 3rd generation in a trucking company that helps keep a rural Michigan community alive. I have never been fooled by her endless array of shoes, piles of designer clothing, or even her law degree. When a girl’s motto is “a little dirt never hurt,” you know she’s not afraid to break a nail. 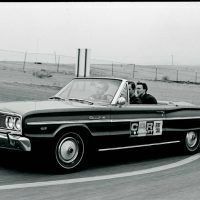 In his final years at Chrysler, Virgil Exner designed some genuinely strange-looking cars, but when those homely critters were being motivated down quarter-mile drag strips by Max Wedge engines, they looked like winners. Archives/ TEN: The Enthusiast Network Magazines, LLC. Although Chrysler intended the Hemi to be used primarily in racing, it could on occasion grace the engine bay of a pedestrian transportation unit. Archives/ TEN: The Enthusiast Network Magazines, LLC. Dodge had been building cars to the muscle car formula since it introduced the 300-C in 1955, but the 1966 Charger was the first car the brand developed specifically to capture the youth market. Archives/TEN: The Enthusiast Network Magazines, LLC. Shortly after our conversation, I read the introduction to American Muscle Cars: Full-Throttle History by Darwin Holmstrom. Frankly, I’ve never heard a better summary of the what the muscle car stood for, but afterwards, I wondered if my girl and Holmstrom were somehow related. They both share a burning desire for something we are not likely to ever see again in American history. 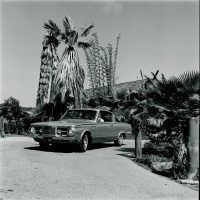 In the 1960s, 75 million baby boomers hit the automotive marketplace. Their desire for speed was arguably fueled by cultural revolution at every turn; through political protests and marches, during musical movements and festivals; from landing on the moon and going to war. And this is where the American muscle car would find its home. Pontiac Chief Engineer, John Z. DeLorean, with Bill Collins and Russ Gee, bolted a 389 ci V8 onto a Tempest chassis prototype for the GTO. It took them 20 minutes. 20 minutes and the muscle car, one of the most iconic and memorable pieces of American culture, was born. American Muscle Cars: Full-Throttle History showcases these stories and others behind Detroit’s muscle, with stunning photography to match. 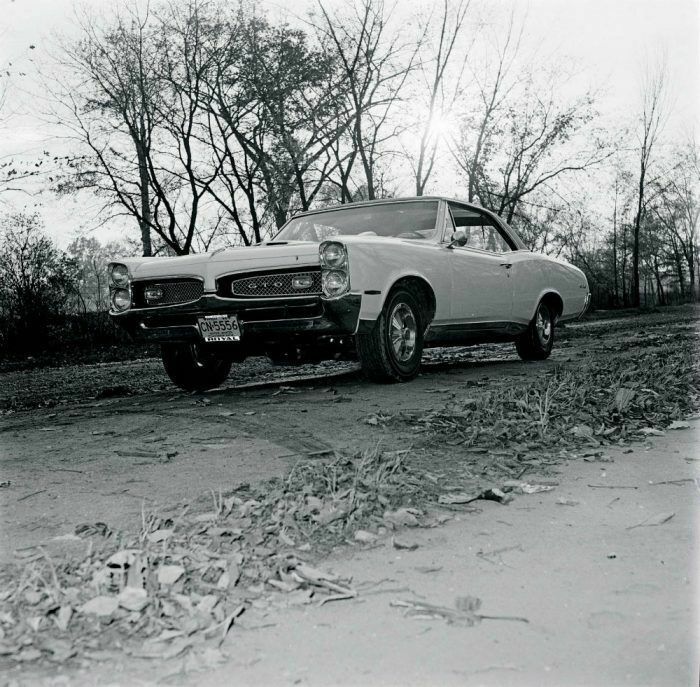 Pontiac’s GTO achieved its peak popularity with the 1966-1967 body style, which was far more curvaceous and sensual than the boxy original. Archives/TEN: The Enthusiast Network Magazines, LLC. Darwin Holmstrom has written, co-written, or contributed to over thirty books on subjects ranging from motorcycles and muscle cars to Gibson Les Paul guitars. He is the Senior Editor for Motorbooks, who we partner with for this Book Garage series. As far as I can tell, he is not related to my girl, despite them thinking so much alike. 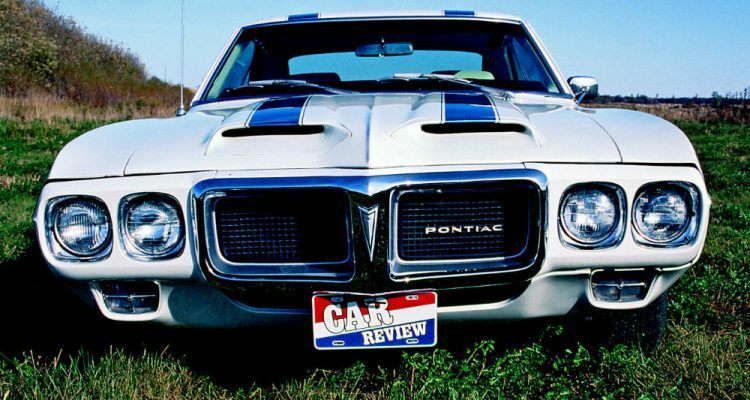 Since 1983, Tom Glatch has contributed hundreds of stories and photographs to major collector Corvette, Mustang, and Mopar magazines. 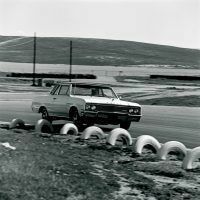 Glatch experienced the muscle car era firsthand with his 1970 Plymouth Duster 340. He lives in southeastern Wisconsin with his wife and two children. With my work in the automotive industry, I am constantly around new innovations and technology. So many vehicles today are marketed to the “connected” consumer. It’s not that performance is an afterthought – far from it. As Holmstrom points out in this book, many of today’s modern hot rods are much more powerful than anything from the muscle car era. For the person who lived during that time, a muscle car represents a significant portion of their life. For those who were maybe not alive then, a muscle car is a chance to experience the carefree, rebellious spirit embodied within that time. For Danielle and I, and the 689,000 others who call Detroit home, it’s a reminder we are still worth something as a city, even when the fires of preconception burn us. American Muscle Cars: Full-Throttle History ensures an era, that despite being long gone, will always endure. One flip of the pages and you’re right back there, hearing that engine roar, breaking in those old seats, and burning up those tires. 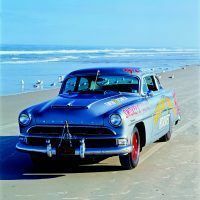 This 1954 Hudson Hornet equipped with full Hudson NASCAR racing kit—Twin-H engine and heavyduty suspension and brakes—was discovered in North Carolina near the home of NASCAR legend Herb Thomas and is thought to have been a backup car for Thomas’ fabled No. 92 Fabulous Hudson Hornet. 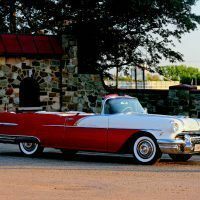 Though the 1956 Pontiac Star Chief still had the old-fashioned chrome strips across its hood—the infamous old-man’s suspenders—at least that hood covered a 270-horsepower V-8 engine. Photo by Tom Glatch. 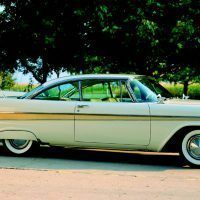 The 1957 Plymouth Fury received extensive changes. The car was longer and wider than its predecessor, but the most notable changes were the soaring tailfins out back. Photo by Tom Glatch. 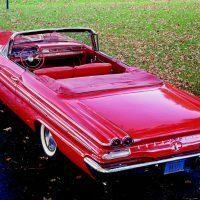 While Pontiac’s Bonneville had plenty of muscle, like the Chrysler 300 it was marketed as a high-performance personal luxury car rather than a pure muscle car. Photo by Tom Glatch. 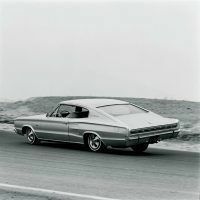 When Ford got serious about its Total Performance program, it provided drag racers with a hot 406-cubic-inch V-8 to power its Galaxie 500 XL. 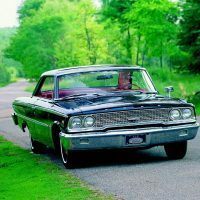 In 1963 the top G-code version of the engine put out 405 horsepower. Photo by Tom Glatch. 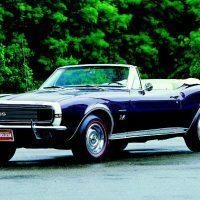 Buick’s Gran Sport wasn’t the fastest muscle car on the market, but it earned praise for being one of the most luxurious. Archives/TEN: The Enthusiast Network Magazines, LLC. 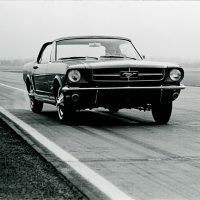 While the Mustang looked sporting, its on-track performance was far from sporty. Archives/TEN: The Enthusiast Network Magazines, LLC. The top of the Camaro line in 1967 was the SS396, though that was introduced several months after the original launch. Photo by Tom Glatch. Plymouth’s Barracuda earned a reputation for its relatively good handling, both on and off the track. Archives/TEN: The Enthusiast Network Magazines, LLC. *Last week on Automoblog Book Garage, we featured a book about the Shelby Cobra. 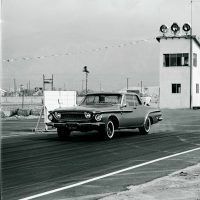 No Comments on "Automoblog Book Garage: American Muscle Cars: Full-Throttle History"